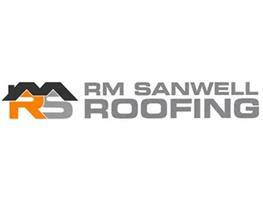 RM SANWELL ROOFING SPECIALISTS have over 10 years' experience in the roofing trade. We pride ourselves on our professional work ethos and ability to execute work to the highest standard. We only use top quality products to ensure our jobs are delivered guaranteeing long term results. We always carry work out ourselves and offer a 10 year guarantee to all new works completed. New roofs, re-tile/slate specialists, felt flat roofs, lead works, GRP, general roof repairs and chimney repairs.